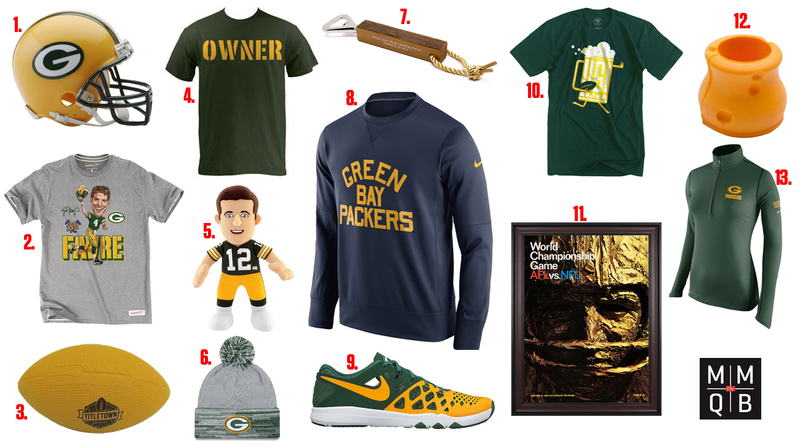 • I would consider moving to Green Bay and buying a share just to have the Owner shirt. My wife probably has other ideas. • Yes, that’s a cheesehead koozie. The sheer number of yellow foam products when you click the link is astounding. • The cold bitterness between Packers fans and No. 4 has thawed, so you’re safe to own the Brett Favre caricature tee. • No, the G doesn’t stand for Greatness, but it doesn’t change the fact it’s one of the sport’s most recognizable logos, whether it’s on a mini-helmet, a pullover or a hat. • How can you not love the cheese-colored football, from Green Bay brewery Titletown. 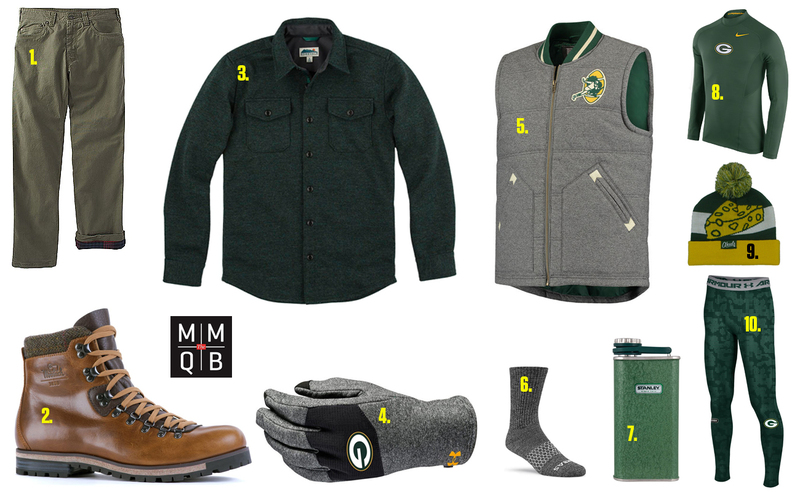 Told I was writing about Green Bay gear and what fans should wear to a game at Lambeau Field, a buddy joked, “Don’t Packers fans just wear TWO pairs of black jeans and a blaze orange parka when temperatures dip?” He’s a bitter Bears fan, so let’s pay him no mind. • Warmth and movement were the goals here, and so the Hyperwarm top and HeatGear leggings are essential. Gives you a good base. • You don’t want any part of wet feet—Sunday calls for snow, for example—so make sure your shoes are waterproof. Bonus here: These Woolrich boots are called the “Packer” so how can you wear anything else? • The signature piece of this ensemble is the vest, which pulls triple duty: it will keep your core warm, allow for unrestricted movement and look awesome with that old-school logo and helmet-stripe collar. The MMQB Football Lifestyle column is a curated list of links to what’s catching Dom’s eye off the field. The MMQB has affiliate deals with some of the brands featured and receives commission on certain purchases. Have an item for consideration? Share it.